If you are a woman who is active and likes to run on a regular basis, you probably know that wearing any old pair of shoes simply will not do. If you are an avid exercise enthusiast, you need to have the right pair of running shoes. It can be pretty hard to find something that is adequate – a pair of shoes that is right for you. Finding the best running shoes for women is what we are here to help you with today. We have got some great options for you to take a closer look at, each of which we have reviewed in quite some detail. In our opinion, this is one of the best women’s running shoes around right now. To get something out of the way, the neon colors which this running shoe comes in may not be all that attractive to look at, but it certainly helps cars see you when running during the dark hours. Besides that, this is one of the more comfortable running shoes around right now. For one it features Sensifit and Sensiflex technology combined with an extra well-padded EVA foot bed. 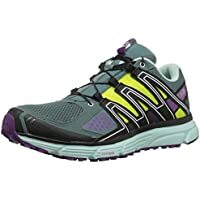 What this means is that the Salomon Women's XR Mission Running Shoe provides a really soft base to run on, one that provides great underfoot support and a high amount of cushioning too. It’s good for running for hours on end. The foam foot bed also helps to reduce friction, so you don’t get blisters when wearing these shoes. Furthermore, these shoes feature a mesh upper with a lot of breathability. While these shoes might not be waterproof in the least, they will certainly help keep your feet dry, sweat free, and well-ventilated for the duration of your run. The quick-lace system is convenient because you do not even really need to tie these shoes. 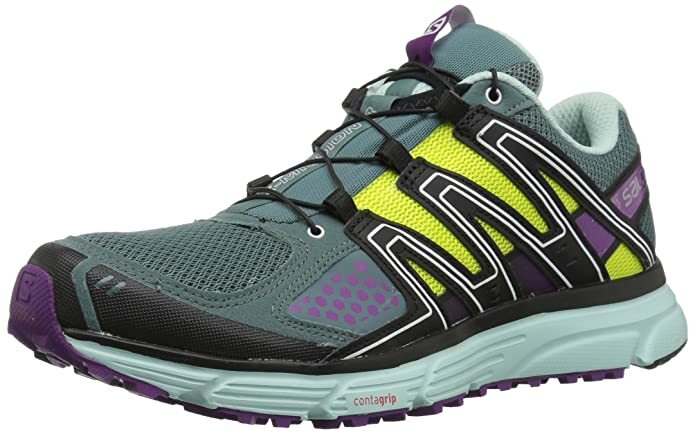 To provide you with good traction, this running shoe features a Contragrip outsole that is ideal for running on concrete and on rougher terrain too. This is another great running shoe to go with, one that is very rugged and durable. For one, it features a really nice high-abrasion rubber outsole. On that same note, the outsole is made with a special grip pattern specifically designed for trail running. What both of these things mean is that the ASICS Women's GEL-Venture 5 Running Shoe is ideal for trail running in the sense that it provides traction while also being able to stand up to sticks and stones. Furthermore, this particular running shoe is made of fairly durable materials; it should not come apart on you anytime soon. Although it is not the most durable running shoe in the world, it is designed to be lightweight and breathable. It features a partial mesh upper which is perfect for those hot days. These shoes let your feet breathe easy and prevent them from getting too hot while running. 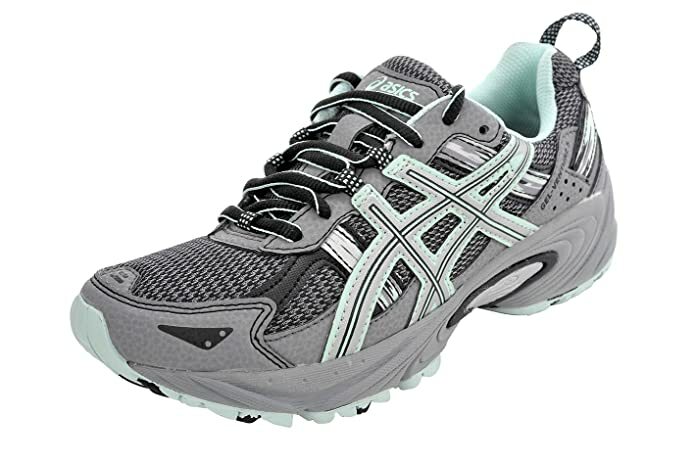 In terms of comfort, the ASICS Women's GEL-Venture 5 Running Shoe is pretty good. It features a well-padded GEL cushioning system. This helps to absorb a lot of strike impact from running, especially in the heel. It also helps provide decent arch support and all-around comfort as well. This shoe even comes with a removable sock liner which can be replaced with orthotics if needed. 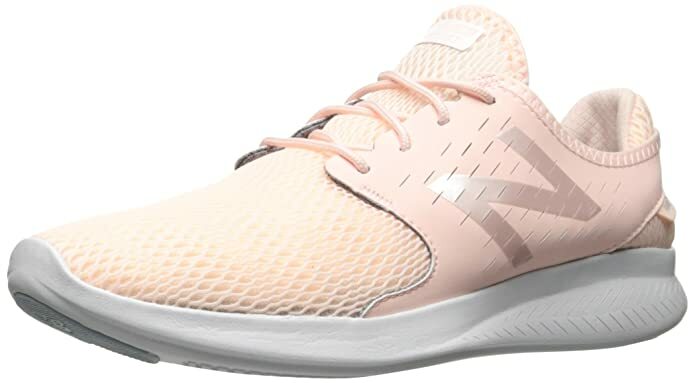 If you need a good running shoe with a combination of durability, comfort, and overall functionality, the Adidas Women's Lite Racer is a great option to keep in mind. First off, this shoe is made out of a combination of leather and synthetic mesh materials. We like the addition of leather because it helps make this shoe fairly durable and provides a certain level of water resistance. Although this shoe does come with mesh to aid with lightweight breathability, the leather increases the weight and decreases breathability a little bit. With that being said, the Adidas Women's Lite Racer is definitely a very comfortable running shoe to wear. It features a textile lining, a cloud foam sock liner, and an EVA-injected midsole. 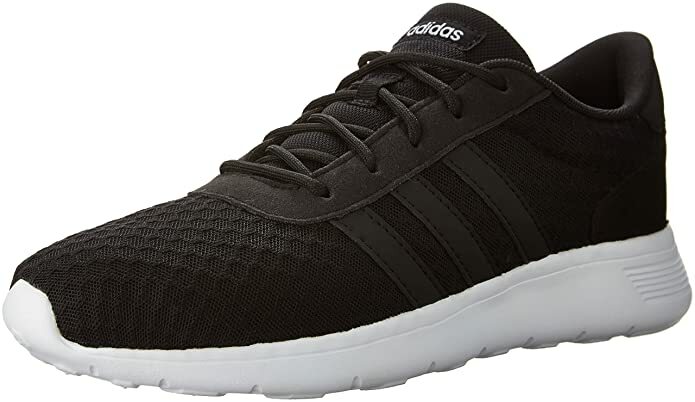 In other words, this shoe comes with many types of cushioning to provide you with a soft running surface, lots of impact absorption, and a decent level of support. One that thing does need to be said here is that these shoes will provide you with limited arch support and no ankle support. However, other than that, these things are very flexible, well-padded, and they should keep your feet quite comfortable. Yet another great women’s running shoe to keep in mind, this might be one of the pricier ones, but it definitely gets the job done. For one, this is one of the most lightweight shoes around right now. Most of it is made out of a single layer of mesh with minimal overlays. The result is a super lightweight design with maximum breathability; your feet should never get too hot or sweaty in these shoes. With that being said, the mesh does limit durability and it is not waterproof either, so just keep that in mind. However, this shoe does come with a very durable outsole that is ideal for running on all kinds of terrain as it is rugged and also provides good traction. This shoe does offer some good support and structure thanks to the underlays in the vamp and in the toe. This is good for running on all kinds of terrain. 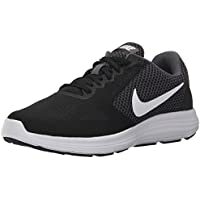 Moreover, the NIKE Women's Revolution 3 Running Shoe features a soft foam midsole which helps to cut down on strike impact, it offers good support, and a good all-around soft running surface. First off, these shoes have a really durable rubber outsole that can easily stand up to concrete and other types of terrain. However, what needs to be said here is that the outsole does not offer great traction in slippery conditions. 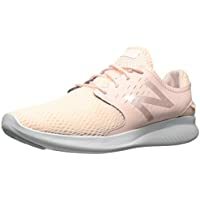 We like how the New Balance Women's Coast V3 Running-Shoes are made with a mix of synthetic materials and mesh because it helps to keep the weight down and breathability high. It’s definitely a lightweight and breathable shoe, although it is neither waterproof nor all that durable, at least not where the mesh is. A big bonus you get with the New Balance Women's Coast V3 Running-Shoes is that they feature a lot of padding and support for your feet. The feature an ECTEVA midsole which is combined with a NB Response 2.0 Performance insert. 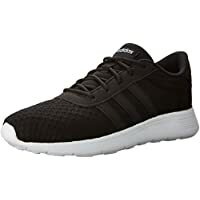 In other words, these running shoes offer a lot of underfoot and arch support, they have great energy transfer, they feature good impact absorption, and are quite comfortable to wear overall. In terms of the best running shoe for women, our top pick is the Salomon Women's XR Mission Running Shoe. When it comes to comfort, a lightweight design, padding, and support, these are undoubtedly the best shoes on this list today. Although they have limited durability, they are rugged enough to last for quite a while, plus they have good traction. 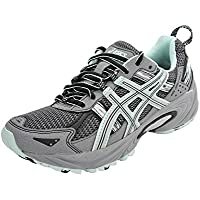 A good second option to go with is the ASICS Women's GEL-Venture 5 Running Shoe as it also has great traction and a high level of comfort.